Matter of Trust is the fiscal sponsor for this bioremediation research program. Compostable waste is available all over the world. Composting can help to bioremediate wherever oil spill waste happened. After the Cosco Busan oil spill, Matter of Trust collaborated with many partners on a feasibility study to see if it was possible to naturally breakdown oil spill waste. Conventionally a spill is treated with booms, absorbents, and dispersants made from polypropylene (oil based) materials and the standard method of disposal is incineration or in landfills. In an effort to avoid the environmental degradation associated with these options, we wanted to experiment with the oily hair mats we had collected. We started with mushrooms and our friends at Fungi.com who gave us the idea in the first place. See Phase 1. The bunker fuel oil had proven to be too thick, tar-like and suffocating for our fungi friends. However, hair mats are an organically based material and we were able to use several natural technologies for eventual remediation. 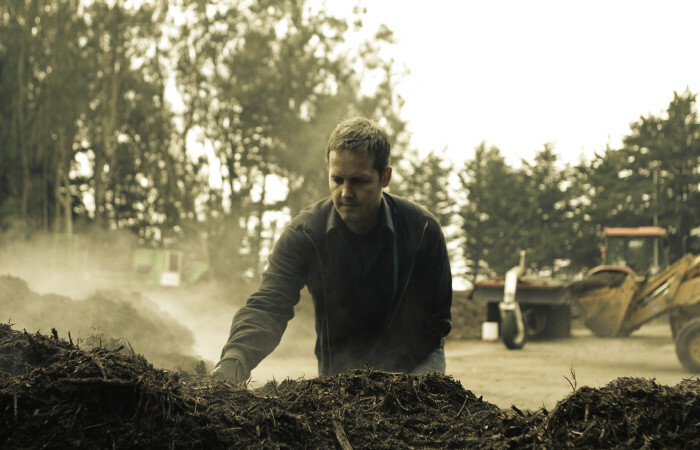 Next, in 2008, Thomas Azwell (from Norman Terry’s Lab UC Berkeley), Ryan Carney, and G-Rock, an environmental consulting group, partnered with us to launch an experiment at the Presidio Park using the oily hair mats blended with 1:9 parts green waste and then treated with microbial inoculants and thermophilic composting. The experiment successfully demonstrated the effectiveness of a natural process to reduce the toxicity to levels which worms could survive (see Phase 3). Currently, Thomas Azwell is continuing this research at UC Berkeley to elaborate on the study by identifying the microbial mechanisms and refining the protocol for remediation. The ultimate goal is to develop an effective, low-cost, time-efficient bioremediation method that uses local waste materials and resources, but which can also be replicated in diverse climates for dissemination across both ecologic and economic borders.